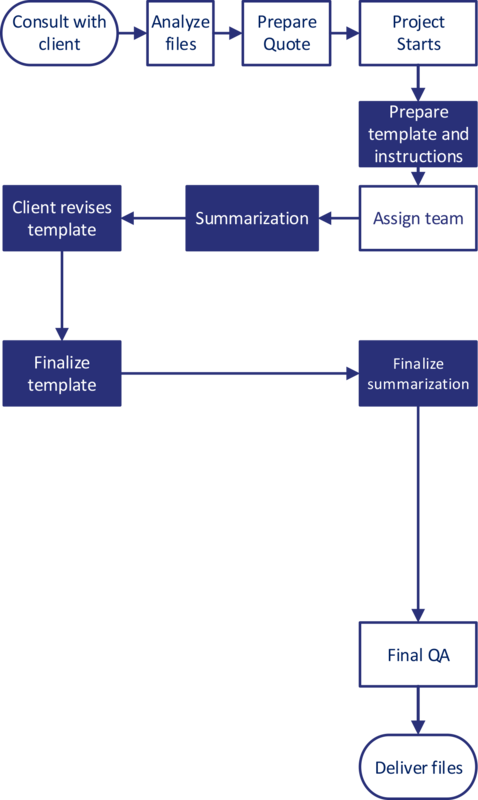 Save time reading long and complex technical documents by letting us summarize it for you and to your liking. Do you have too much material and not enough time to read it? Our team allows you to understand key information in foreign languages faster by providing a meaningful format of summarized content. Like extra members of your team, BURG helps you understand information from a wide variety of formats including reference materials, websites, legal documents, manuals, academic books, journal articles, contracts, technical guidelines, laws and regulations, and bulk email.